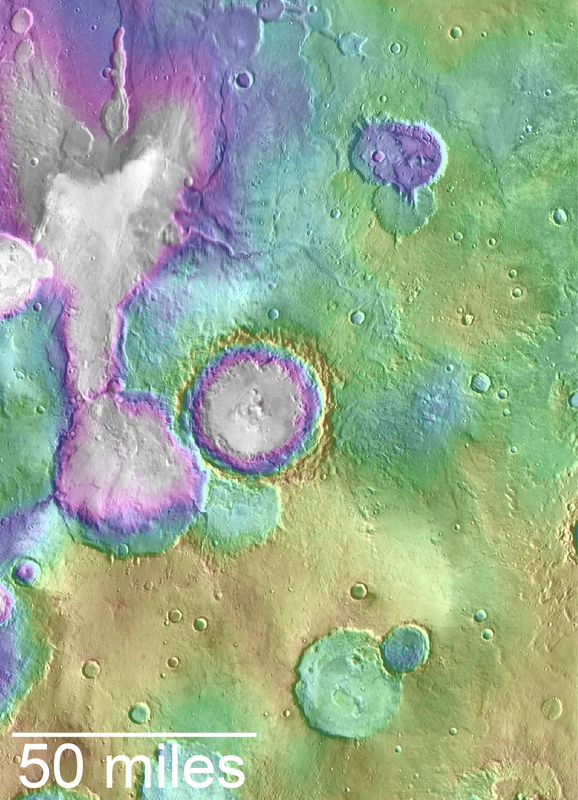 Gullies on Mars: Wet or Dry (Ice)? Martian gullies were in the spotlight recently thanks to a NASA press release stating they were “likely not formed by liquid water.” The release concerns the publication of a new paper by Nuñez et al. 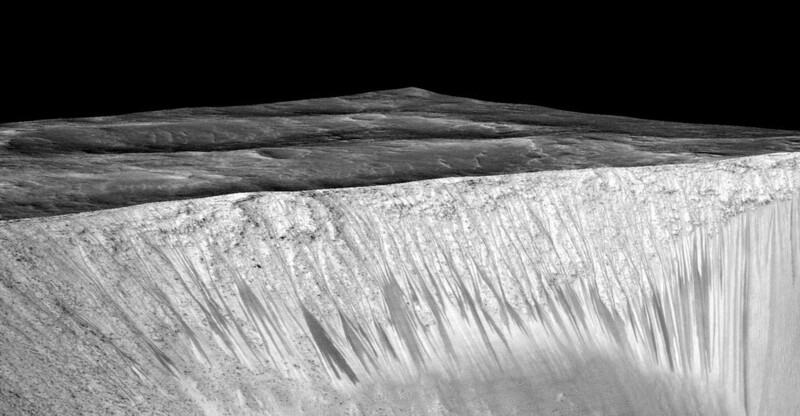 in Geophysical Research Letters, which looked at spectral data of gullies from the Mars Reconnaissance Orbiter (MRO) Compact Reconnaissance Imaging Spectrometer for Mars (CRISM). In their study, Nuñez and his colleagues looked at over 100 gullied locations on Mars. They found no evidence of minerals that would be expected to form in the presence of water. Rather than water, they point to sublimation of seasonal carbon dioxide frost as the main culprit behind gully formation on Mars. Other people have proposed a similar model to explain present-day activity in gullies, which appears to happen during periods of active defrosting. But this process has been a topic of debate among the Mars gullies community, and was a big discussion point at the “Martian Gullies and Their Earth Analogues” workshop in London back in June. Can this dry process explain both the initial formation of gullies and gullies’ modern-day activity? True to its purpose, the big NASA spacecraft that began orbiting Mars a decade ago this week has delivered huge advances in knowledge about the Red Planet. NASA’s Mars Reconnaissance Orbiter (MRO) has revealed in unprecedented detail a planet that held diverse wet environments billions of years ago and remains dynamic today. 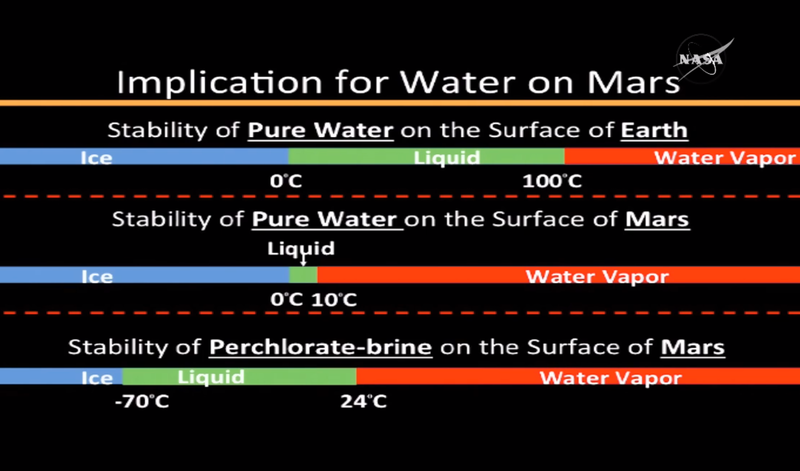 One example of MRO’s major discoveries was published last year, about the possibility of liquid water being present seasonally on present-day Mars. 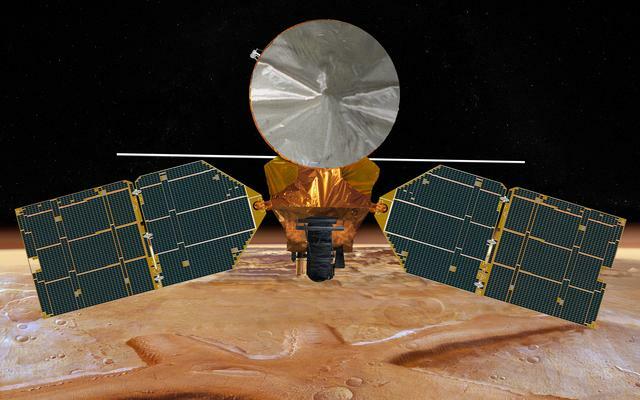 It drew on three key capabilities researchers gained from this mission: telescopic camera resolution to find features narrower than a driveway; spacecraft longevity to track seasonal changes over several Martian years; and imaging spectroscopy to map surface composition. 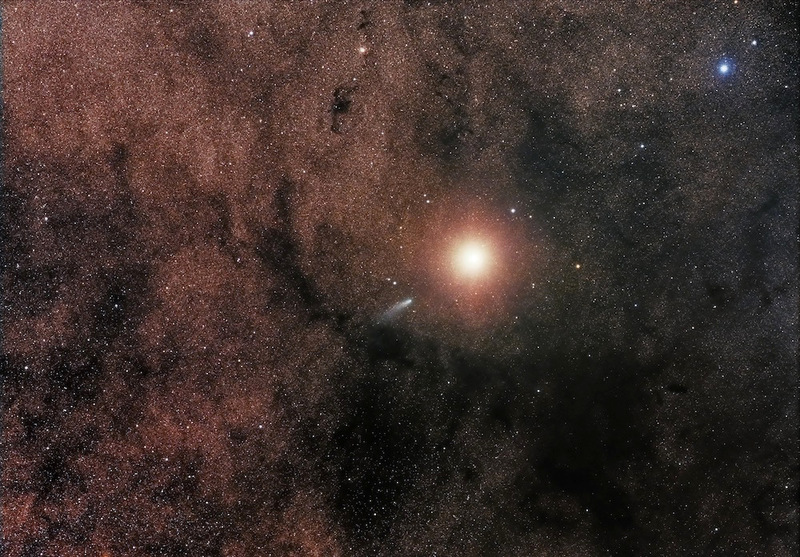 Other discoveries have resulted from additional capabilities of the orbiter. These include identifying underground geologic structures, scanning atmospheric layers and observing the entire planet’s weather daily. All six of the orbiter’s science instruments remain productive in an extended mission more than seven years after completion of the mission’s originally planned primary science phase. It was a “crazy-looking crater” on the face of Mars that caught Ali Bramson’s eye. But it was a simple calculation that explained the crater’s strange shape. Combining data gleaned from two powerful instruments aboard NASA’s Mars Reconnaissance Orbiter, or MRO, Bramson and her colleagues determined why the crater is terraced — not bowl shaped, like most craters of this size. “Craters should be bowl shaped, but this one had terraces in the wall,” says Bramson, a graduate student in the University of Arizona’s Lunar and Planetary Laboratory, or LPL. Terraces can form when there are layers of different materials in the planet’s subsurface, such as dirt, ice or rock. NASA’s Mars Reconnaissance Orbiter, aging and arthritic a decade after its launch, remains productive and is expected to be the primary pipeline for high-resolution maps of Mars for scientists and mission planners over the next decade. Scientists who want to study Mars’ enigmatic history, tenuous water cycle and climate will continue to rely on the nearly $900 million MRO mission, and engineers charged with selecting landing sites for future Mars rovers, and eventual human expeditions, will use maps created from the orbiter’s imagery, officials said. And the success of future landers, beginning with NASA’s InSight seismic probe next year, depend in part on MRO’s availability to relay data from the Martian surface to Earth.